MAC Bare My Soul Eyeshadow Quad - I have been crazy about this product ever since its release. 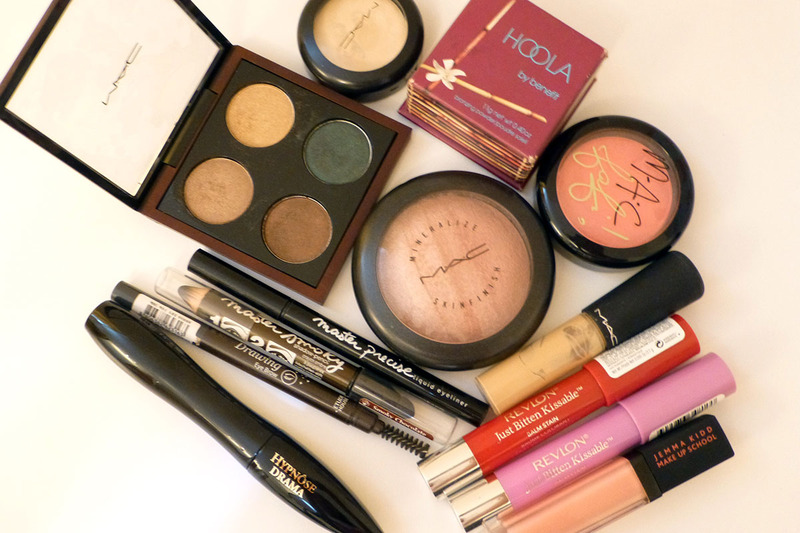 The earthy colours are so versatile for different makeup looks. Definitely a travel must have for me. Benefit Hoola Bronzer has been my staple for at least the last 3 years. It comes in lightweight cardboard box packaging that's convenient to bring along. I brought MAC Hipness blush for when I crave a coral glow, and also MAC Blonde MSF for a pink-cheeked glow. For lips, I brought a few choices with me: Revlon Kissable Balm Stains in Romantic and Darling, with Jemma Kidd lipgloss; perfect for on the go. Let's not forget our foundation base, I use MAC Mineralise Concealer with MAC Prep+Prime Transparent Finishing Powder (not pictured). Eyes will be jet set with Maybelline Chocolate Brown Master Smokey Eye Pencil and/or Maybelline for a more defined look. Finish off with Lancome Hypnose Drama Mascara and Etude House Brow Pencil for a pencil and spoolie two in one. Makeup Accessories: I brought along mini alternatives to the regular-sized brushes I use: Sigma E40 Tapered Blending Brush to blend my concealer/foundation on. MAC 188SH brush to apply finishing powder. 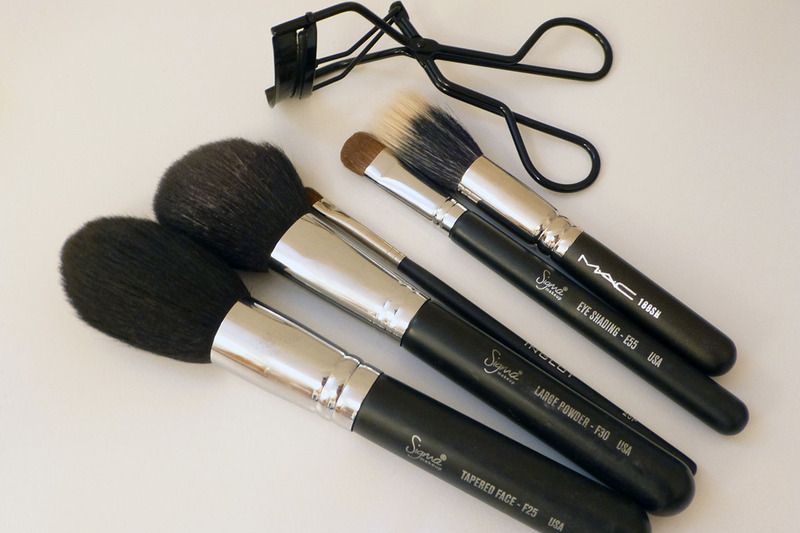 Sigma Tapered Face Brush F25 to apply bronzer, Sigma Large Powder Brush F30 for blush, and Inglot 20P brush along with Sigma Eye Shading Brush E55 for eyes. I have also been using the MAC Eyelash Curler as of late and I must say I really do like this one. Yes, Hoola is great. Its my favourite bronzer!